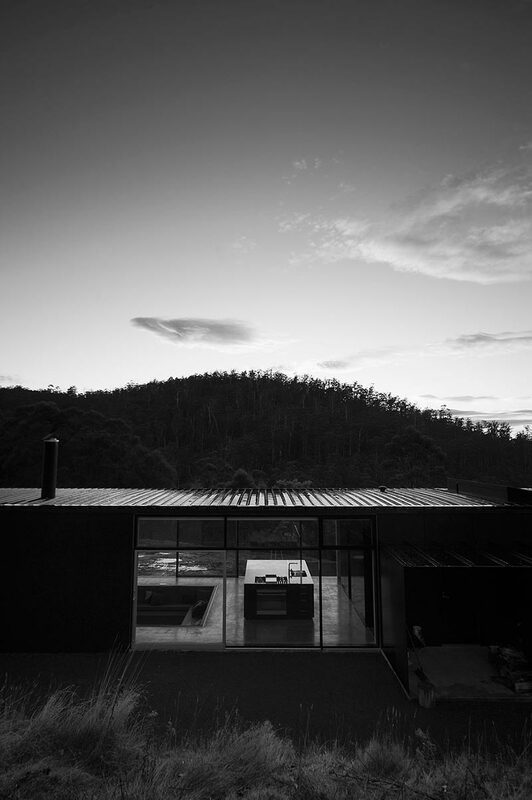 The Longley House, by Room 11, takes mountainside living and turns it on its edge – literally. 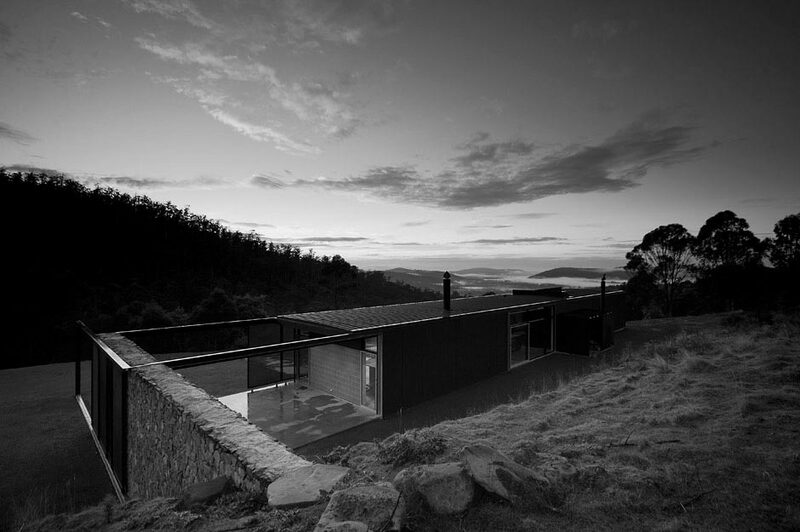 This house, located in the Lower Longley area of Tasmania, Australia, is a true testament to stark contrasts. 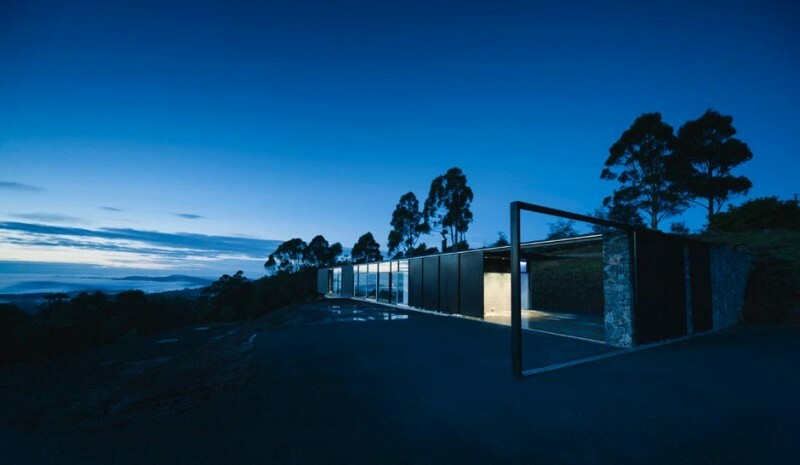 Situated along a naturally terraced ridge overlooking the valleys below, the Longley House is a modern work of art that somehow seems to have risen from the rocks upon which it sits. 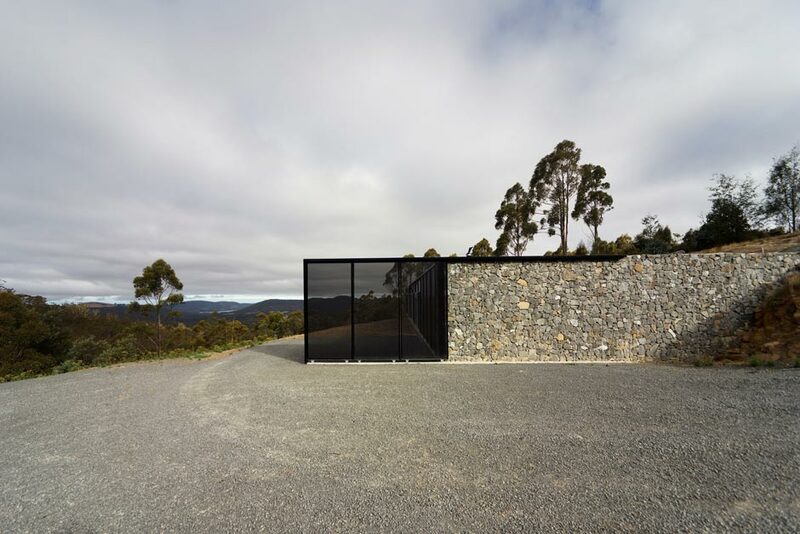 Approaching the property, a discerning eye will note how a stacked stone wall magically transforms into a contemporary steel framework – as if to emphasize the distant views of the Northwest Bay and Tasmanian farmland. 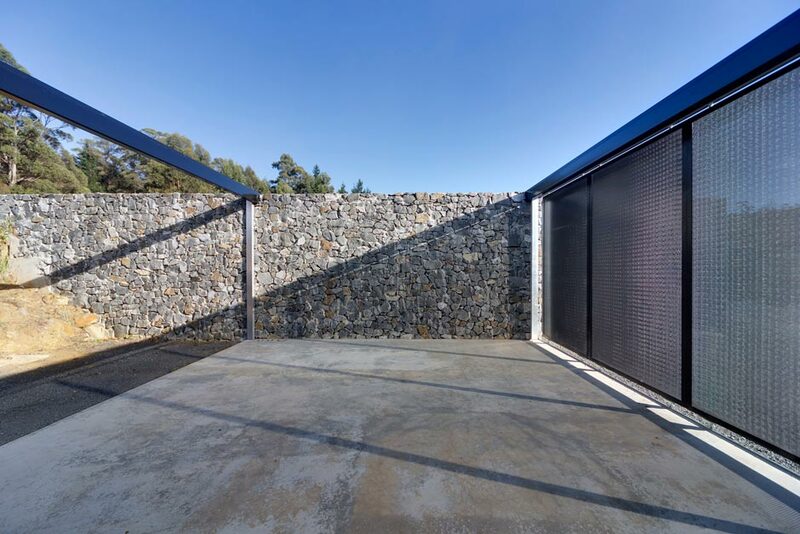 As stone transforms to steel, and mountain gives way to glass, it is when one steps inside that true appreciation for this modern masterpiece grabs hold. 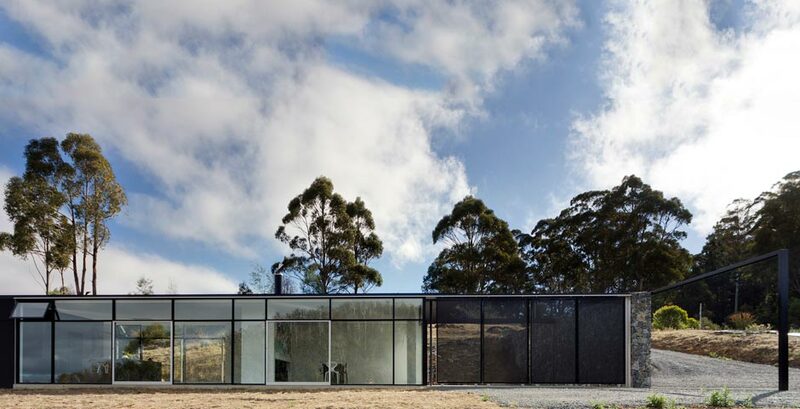 Inside the Longley House, vast amounts of glass seemingly disappear into the terrain, as rises in the hills act as natural curtains. 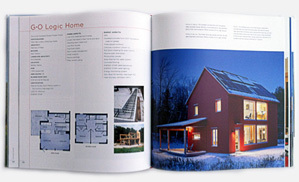 Inasmuch as the outside melds with the inside – the interior seems to expand infinitely outward. 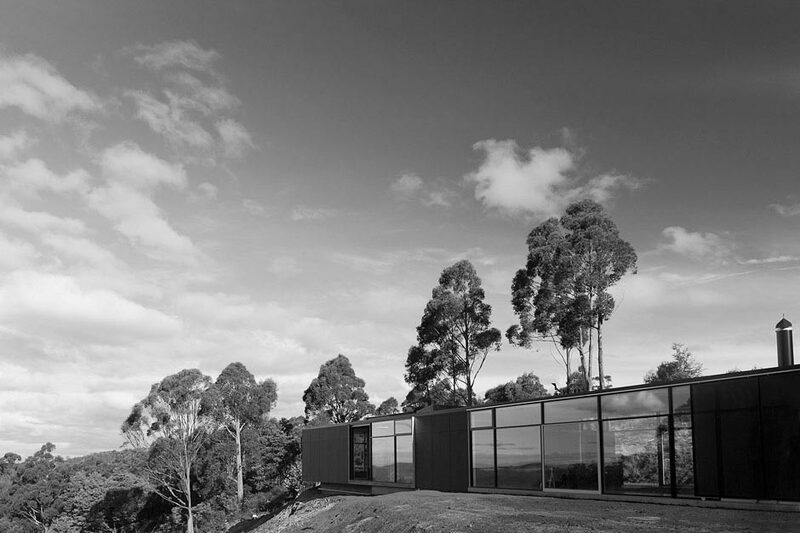 Making use of the spectacular views, the Longley House maintains a centralized floor plan – literally. 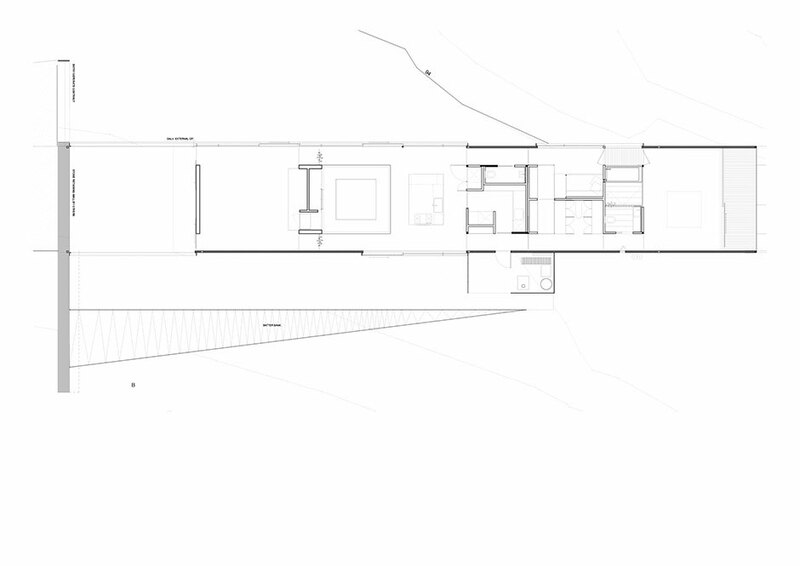 The master suite, kitchen, bathrooms, and dining area are situated at the epicenter of the home, all surrounded by a perimeter hallway. 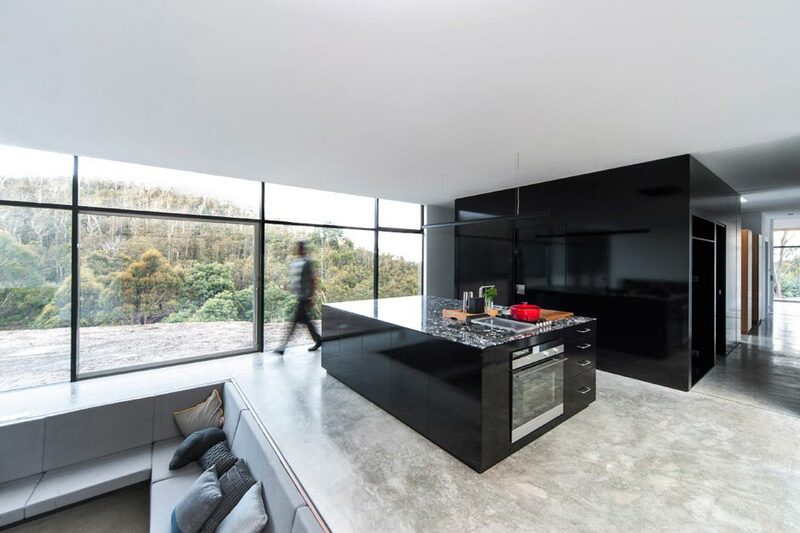 A soft gray palette reigns throughout, and an immense island in the kitchen is emblazoned with a massive granite slab. This countertop, naturally inlaid with a variety of various hued rock, acts as a focal point for the common areas of the home. 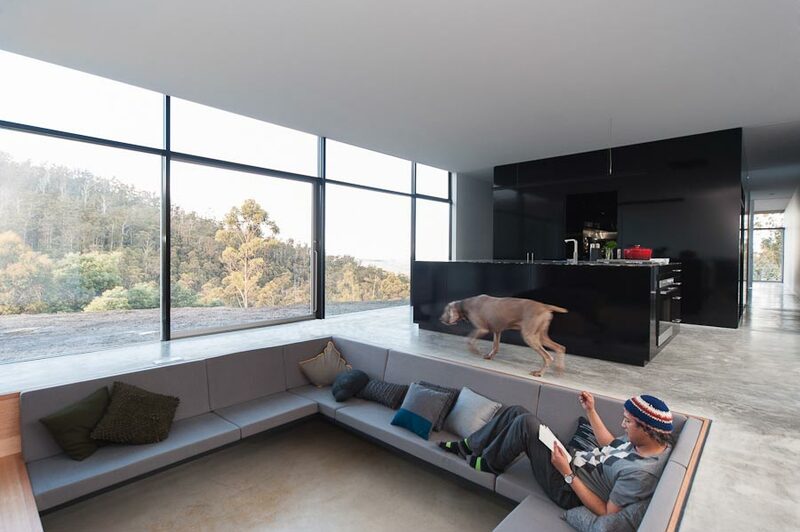 Rather than risk spoiling the clean lines of the Longley House with obtrusive furnishings, Room 11 chose to sink the living room seating area below the polished concrete floor line. 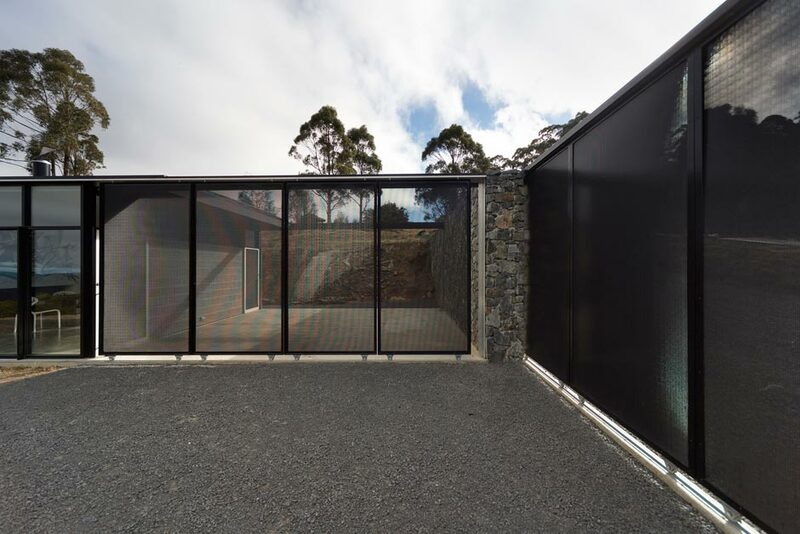 This sunken living room concept combined with the free-flowing hallways throughout, make this glass-laden home on the ridge a perfect addition to the Tasmanian countryside.